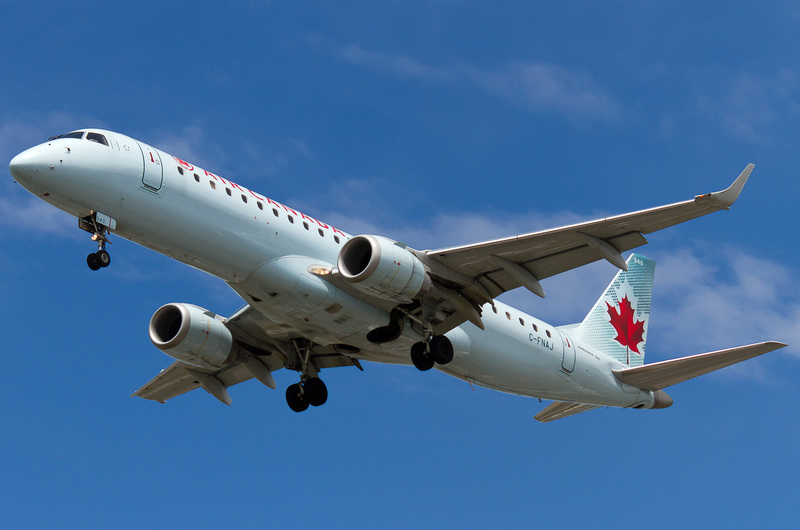 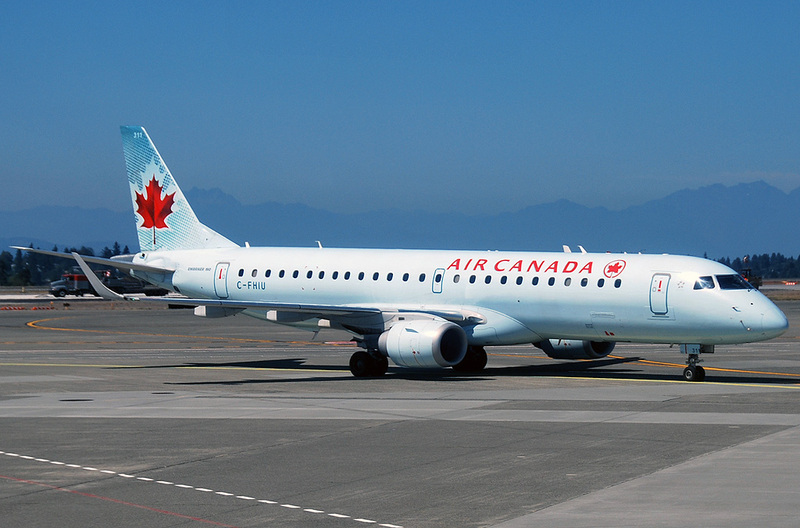 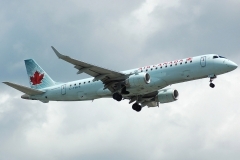 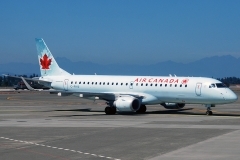 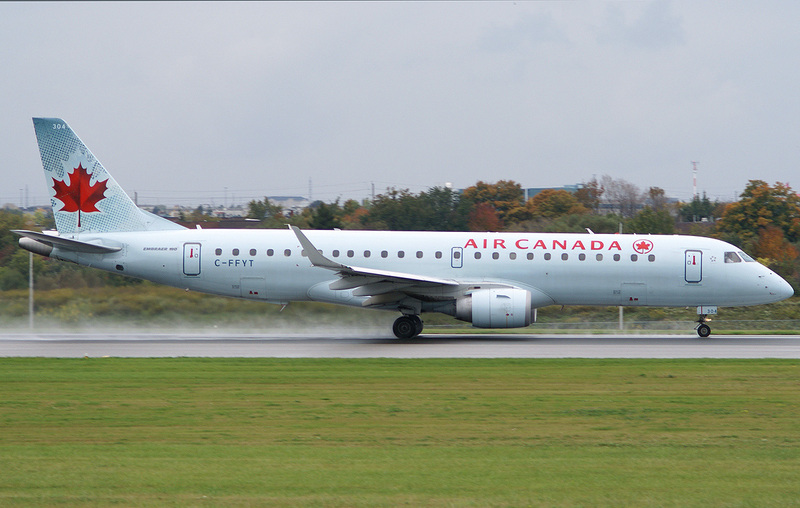 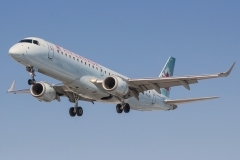 “Air Canada” operates 19 aircrafts Embraer ERJ-190. 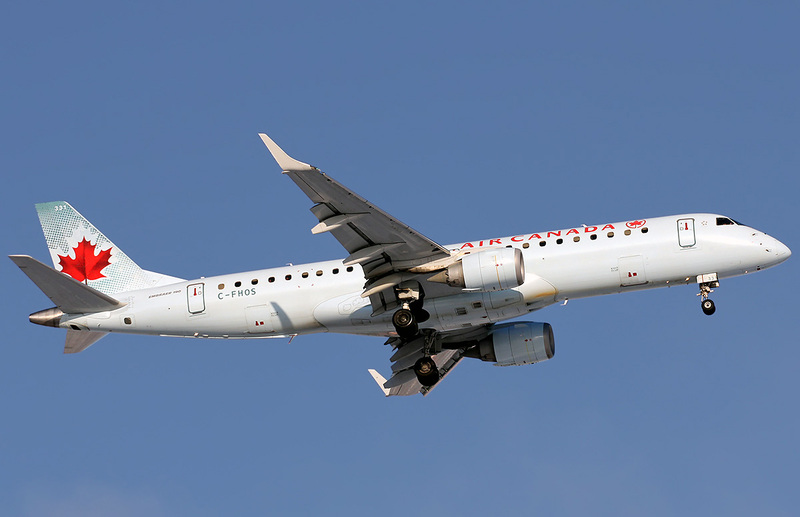 Embraer ERJ-190 (such designation now have airplane of Brazilian company) – it is medium-haul passenger aircraft for local airlines, constructed by Brazilian company Embraer. 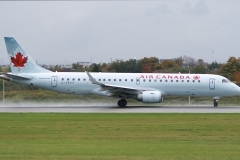 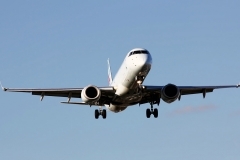 On the market Embraer ERJ-190 competes with airplanes Boeing 717-200, Boeing 737-600 and Airbus A318, Airbus A319. 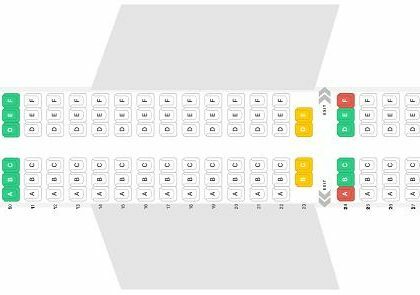 The aircraft is the new construction of Embraer company in the class with increased passenger capacity as compared to airplanes ERJ 135/140/145. 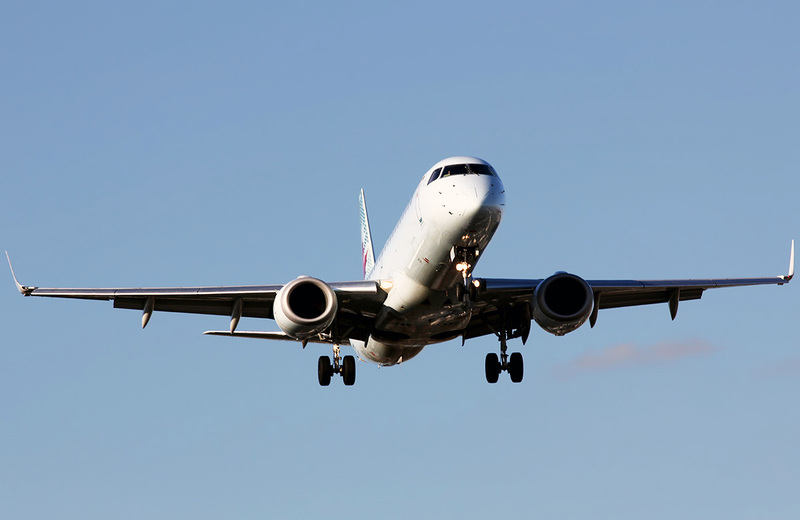 In airplane’s construction participate such companies as: General Electric (fan engines CF34-10E), Hamilton Sundstrand (construction of the airplane’s tail), Honeywell (aviation electronics Primus Epic), Kawasaki, Latecoere, Liebherr, Gamesa, Sonaca (differets fuselage parts), Parker Hannifin (hydrodynamics and fuel system). 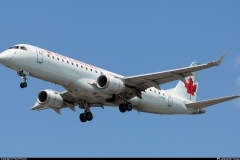 From 1999 company is sequentially constructing models ERJ 170 and ERJ 190. 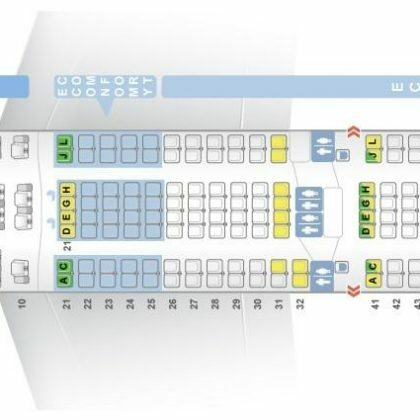 The difference between the models is not only in small technical distinctions but in capacity as well. 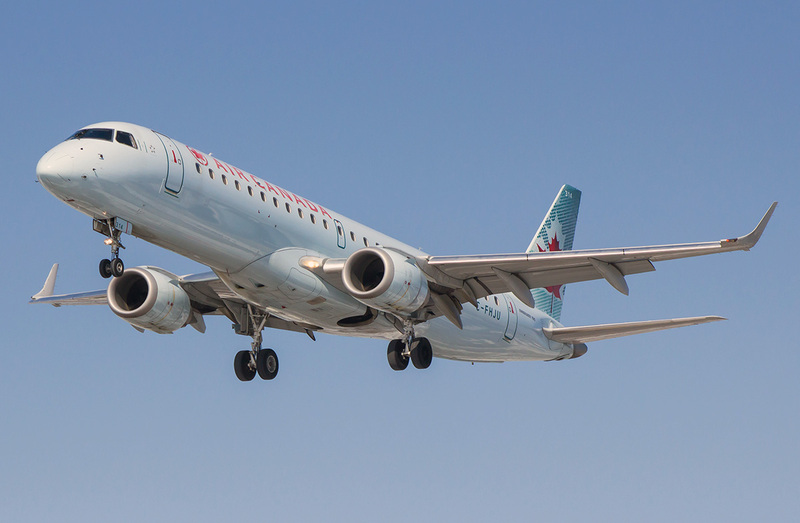 Thus Embraer decided to cover 60% of the region airplanes’ market.